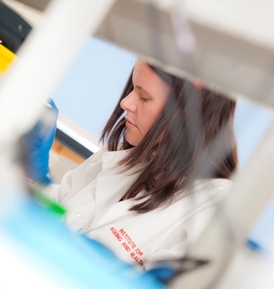 The Mitochondrial Diagnostic laboratory is situated within the Mitochondrial Research Group laboratories of the Medical School within the Newcastle upon Tyne Hospitals NHS Foundation Trust and has been providing a comprehensive, diagnostic and clinical management service for patients with suspected mitochondrial disease for over 15 years. Awarded National Specialist Commissioning funding from the Department of Health in 2007, the laboratory works closely with colleagues at UCLH NHS Foundation Trust, London and Oxford Radcliffe Hospitals NHS Trust to provide specialist clinical and diagnostic investigations – the Rare Mitochondrial Disorders Service for Adults and Children. The Clinical Service is led by Professor Doug Turnbull (adults) Dr Grainne Gorman (adults) and Dr Robert McFarland (children), whilst Professor Rob Taylor heads a team of 10 scientists which receives ~2000 referrals to the laboratory per year. The laboratory diagnosis of mitochondrial disease involves many components including muscle histology and histochemistry, in vitro assessment of mitochondrial biochemical function and molecular genetic screening. Enzyme histochemistry is particularly valuable as the presence of ragged-red fibres and cytochrome c oxidase-deficient muscle fibres provide important clues as to likely involvement of the mitochondrial genome. 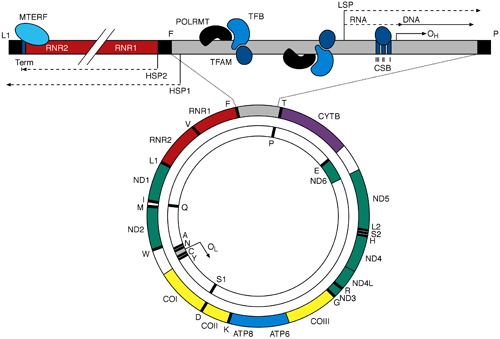 Molecular genetic analysis of the mitochondrial genome is complicated by heteroplasmy (presence of both wild-type and mutated mitochondrial DNA) and the requirement to screen clinically-affected tissues. Our diagnostic algorithms include screening for known point mutations associated with specific phenotypes, characterising mtDNA rearrangements and sequencing the entire mitochondrial genome to search for rare or novel mutations using next generation sequencing (NGS) protocols. An increasing number of nuclear genetic defects have been described causing isolated or multiple respiratory chain defects, which in some cases can lead to secondary changes in the mitochondrial genome including mtDNA depletion syndromes and multiple mtDNA deletions. Custom targeted-captures of specific nuclear-mitochondrial genes are available for NGS screening, integrated with a programme of whole exome sequencing for a range of mitochondrial disease phenotypes and biochemical defects. The laboratory offers prenatal and pre-implantation genetic diagnosis for selected mitochondrial disorders, and links closely to the Centre’s research activities relating to mitochondrial gene discovery and characterising the molecular mechanisms underlying both mitochondrial DNA-driven and Mendelian disorders. The laboratory is recognised as one of the leading mitochondrial diagnostic centres in the world, holds full UK CPA accreditation status and has authored the UK CMGS Best Practice Guidelines for the molecular genetic investigation of patients with suspected mitochondrial disease.